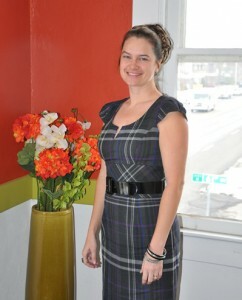 a&g Digital Consulting would like to welcome Machelle Young to our team of talented marketing extraordinaires. In the Project Manager role, Machelle manages all aspects of client project organization and completion, ensuring processes run smoothly, goals are achieved, and deadlines are met. With a business degree focusing on management, Machelle has the education and background to tackle complex projects with ease. She is no stranger to managing design projects as well as online marketing and analytics, having spent the past 10 years as a Marketing Services Coordinator and Project Manager. Her former roles taught her the importance of following a job through from start to finish, while giving 100% attention at each stage of the process. Prior to working in Marketing, Machelle spent 4 years in Business Management and Recruiting. She is dedicated to supporting clients by helping them through the process of making strategic changes to their websites and/or online marketing efforts. 2. Describe yourself in three words. Sarcastic, joyful, & devoted. 3. What is the last book you read? “Full Dark No Stars” by Stephen King. 4. Favorite song to play on Rockband? Proud Mary by Creedence Clearwater Revival. 5. Super power of choice? The power of flight. 6. Dogs or Cats (keep the logo in mind)? My choice is DOGS of course! I like them so much, I adopted one as big as a horse!